Emma Dench | "Race, Ethnicity and Beyond in Classical Antiquity"
Illinois Program for Research in the Humanities. Co-Sponsored by the Department of Classics. Disturbing racist incidents amongst and against scholars and students of classical antiquity have turned the spotlight on the nature of the field’s engagement with questions of race and ethnicity in ancient societies. Taking 1990 as a pivotal point, I trace the trajectory of modern discussions of race and ethnicity in classical antiquity, highlight some of our missed opportunities, and suggest some possible new directions. Co-Sponsored by the Department of Classics and part of a workshop on “Race Work in the Classics” on February 22, 2019. 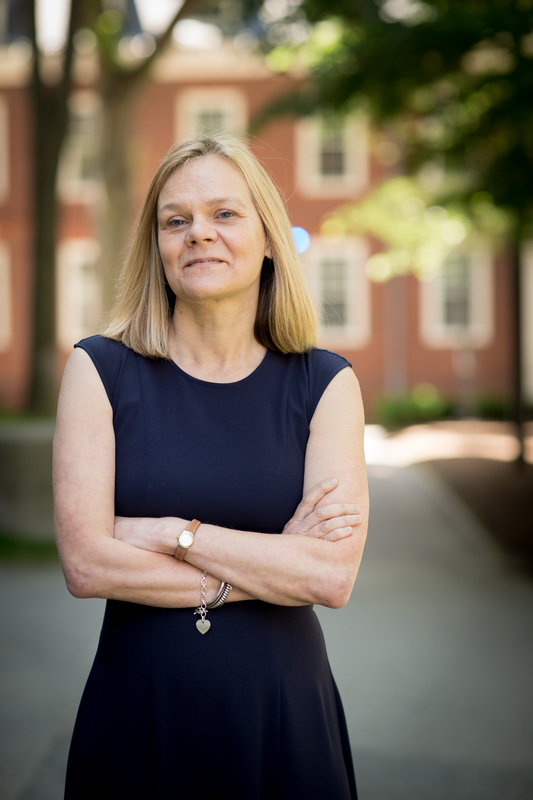 Emma Dench is the McLean Professor of Ancient and Modern History and of the Classics at Harvard. She was born in York, England, and grew up near Stratford-Upon-Avon. After a mercifully brief stint as a child actor (e.g. as Peaseblossom in Peter Hall’s movie of A Midsummer Night’s Dream, 1968), she turned to Classics. She took her BA in Literae Humaniores and her DPhil in Ancient History from Oxford University. Before moving to Harvard in 2007, she taught classics and ancient history to mature students (over 21 and in full-time employment or equivalent) for fourteen years at Birkbeck College, University of London. She has been a Craven Fellow at the University of Oxford, a Rome Scholar, and a Hugh Last Fellow at the British School of Rome, a Cotton Fellow, a Member of the School of Historical Studies at the Institute for Advanced Study, Princeton, a Visiting Professor of the Classics and of History at Harvard, and a Loeb Classical Library Foundation Fellow. She delivered the Gray Lectures at the University of Cambridge in 2016. Emma Dench is the author of From Barbarians to New Men: Greek, Roman, and Modern Perceptions of Peoples from the Central Apennines (Clarendon Press, Oxford, 1995) and Romulus' Asylum: Roman Identities from the Age of Alexander to the Age of Hadrian (Oxford University Press, 2005). Empire and Political Cultures in the Roman World appeared as a Key Theme in Ancient History (Cambridge University Press) in August 2018. She has published widely on ancient conceptualizations of race, ethnicity and empire, and on ancient historiography. Her current projects include a study of race in Classics and in the ancient world, and ancient Roman Republicanism.